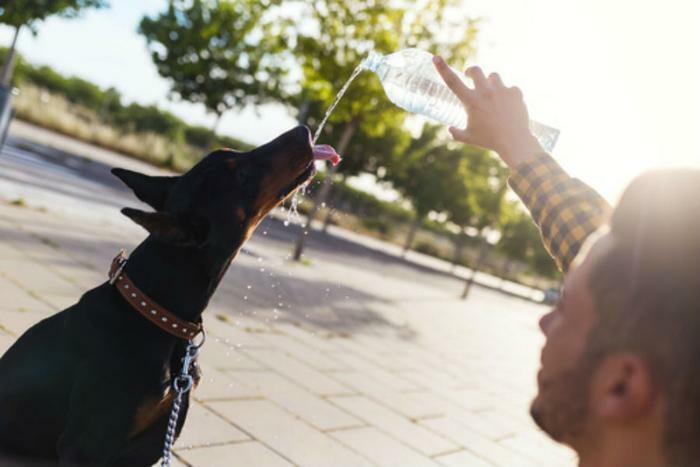 Animals can succumb to intense summer heat just like humans, but owners often miss the warning signs because they don't know what to look for. Pet insurers say treating a dog for heatstroke is among the most expensive pet injuries. Nationwide said its average claim for canine heatstroke last year was over $700. Healthy Paws, another pet insurer, said its biggest heat-related claim last summer was $3,800 for a Labradoodle that required several days in a pet hospital. To avoid this injury, the company offers up five rules. The first is a no-brainer; never leave your dog in the car unattended. K9 Rescue says that even on a pleasant 75 degree day, it will take only 10 minutes to reach 100 degrees inside the car. Outdoor dogs are most at risk, since they spend most of their time outside when it's hot. They need a place that shelters them from direct sunlight and a place to cool off. A small child's wading pool, filled with water, can give a dog a nice break from the heat. Also make sure they always have plenty of fresh water to drink. Some breeds, such as pugs and French bulldogs, may be more susceptible to the heat. Healthy Paws says one French bulldog it covered had a heatstroke last summer that cost $2,100 to treat. Keep your dog off hot cement. If the pavement feels too hot when you touch it with your hands, it's going to be too hot for your dog's paws. Finally, Healthy Paws urges dog owners to be aware of the symptoms of a heatstroke. They include heavier than normal panting, vomiting, and even seizures. There's also a good chance a dog having a heatstroke will simply collapse. When any of these symptoms appear, get your pet to a vet as soon as possible.